The unanticipated updates of Google in its search algorithms is now challenging SEO professionals to provide better user experience to their targeted audience and make the Web a better place for everyone. Different SEO strategies had evolved to make use of different Web properties (i.e. 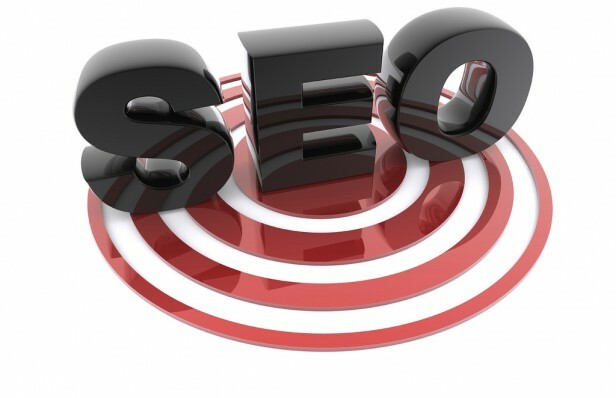 content) to increase the chances of getting the top spots in the search results for target keywords. Increase in e-mail subscribers through value-given content distributions for relevant industry publications. Getting more visibility in social media space through guest blogging and other content placement methods which are commonly associated with links pointing to the contributor’s social profiles. Quick achievements of target conversions when pages that include buying keywords are consistently placed on the top pages of the search results. Search engines are using latent semantic indexing to evaluate the context and relevance of a content. The more synonyms/related phrases you include in your content, the likelihood of ranking on search results for other related terms (keywords you may not be targeting) is higher given that search engines understand where your page should be tagged in their indices. For instance, Acidre’s post on Kaiserthesage is ranking for the keyword ‘link acquisition’ even if it is not his primary keyword for the page. Given that he’s using tons of synonymous words in his blog post, he is able to optimize the page for secondary keywords, which boosts his rankings on SERPs. Various link-building strategies that have emerged today are products of creativity in helping a webmaster improve his/her site. Fixing a page’s grammatical errors. You rarely see a page with errors but, if you find one, you may want to reach out to the webmaster and ask to take a look at the page and fix the error. Don’t forget to ask for a link, man! Broken link building. The challenge in broken link building is in its outreach phase. Creating an e-mail template that looks like you’re looking for the dead links on the page to replace a link of yours could only reduce your response and link acquisition rates. The proper way to create an e-mail template is to make it look like you’re doing a research about a topic and landed on a page but haven’t found what you’re searching for. Outdated content acquisition. There are so many outdated content pieces that are related to your niche. Find them and see if you have the chance to improve the content. I got a link from this blog simply by updating an old blog post. It takes only 10 minutes of my time to add a few paragraphs to add more valuable information about the topic. When you’re doing SEO for clients, oftentimes, you start building links based on new concepts/campaigns that you want to implement for your client. This is good but if you can’t see first how you can leverage your client’s existing content assets, you might have to work from scratch (since you’re building new linkable assets and hopefully they might earn a lot of shares/links). In most cases, content pieces that do not get a lot of traction doesn’t mean they don’t have the characteristics needed to go viral. Content promotion may have been lacking. Convert your content into different content formats (i.e. eBook, slide presentation, infographic). Submit the final output to different content uploading sites (i.e. document sharing sites). Widen your link-building opportunities by adding link-building personas (useMindmeister and your brain to list down all groups of people who might be interested to link to your content). Reach out to prospect webmasters and ask for a share/mention of your content. Use cognitive SEO or other link-tracking tools to identify your top linkable pages and see which of your pages need a push in their rankings. Build more solid link-building initiatives to effectively promote your top linkable pages. Improvement in using co-occurrence on controlled content distribution initiatives is probably the must-have part of every SEO strategy. SEOs should be able to adapt to what the customers are trying to look for in the search engines based on their needs in services and products. The more you associate your brand with terms/phrases that describe your product/service and your brand as a whole, the likelihood of ranking for target brand-related keywords is higher. Take advantage of interview requests. Make sure you include industry terms that you’re targeting to bring signals to search engines that your content/homepage is well-associated with your chosen terms. Vary the words you use in the author bios of your content distributions. Surround your links with words most commonly associated with your brand (particularly if the author description is in the article itself – right below your post). Remember that contextual links add more link value to the site than author bio links. Conclusion: Providing the best user experience to your target audience is the best SEO strategy particularly in the off-page aspect of SEO. The more you make your site useful/informative to search users, the more you deserve to rank in SERPs.